Photo Courtesy of Third Coast Percussion. Last year’s Ear Taxi Festival put Chicago’s vibrant contemporary art music scene on display, demonstrating a deep and talented community of local composers and performers. 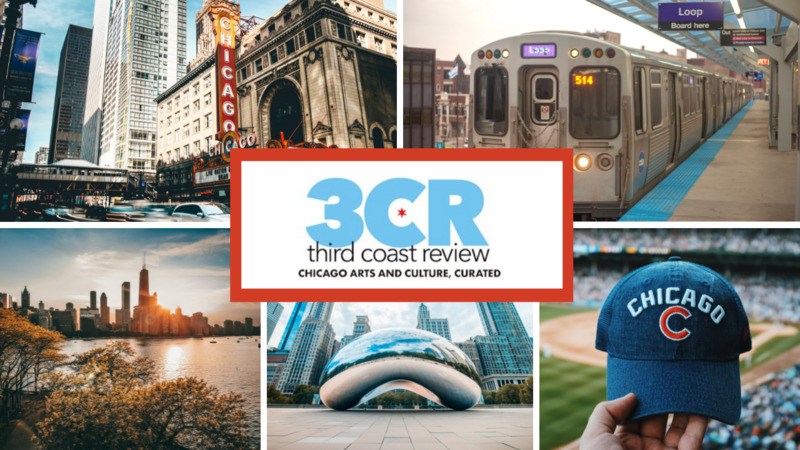 One of the brightest lights of our scene is Third Coast Percussion, a quartet of classically trained musicians who specialize in hitting objects with mallets, drum sticks, hammers, hands, fingers—anything that elicits a rhythmic sound from another object. Third Coast Percussion won the 2017 Grammy Award for Best Chamber Music/Small Ensemble Performance. There are many percussion ensembles out there. Stomp, originally from Britain, offers a wonderful combination of percussion, dance, gymnastics, and athleticism. Street musicians bang lively rhythms on drums, bongos, industrial containers, and garbage cans. Third Coast Percussion is one of a handful of ensembles that call on the full cornucopia of rhythmic instruments. Their music is not centered on bongos or a drum kit; rather, it features marimbas, vibraphones, bells, triangles, cymbals, chimes, gongs, and all manner of resounding objects. Among other things, these instruments allow them to overlay melodies and complex harmonies onto their rhythms. David Skidmore. Photo Courtesy of Third Coast Percussion. Robert Dillon, founding member of TCP. Photo courtesy of Third Coast Percussion. It was the 2016 recording of Reich’s music Third Coast Percussion | Steve Reich that won TCP the Grammy Award for Best Chamber Music/Small Ensemble Performance in February 2017. That release included Reich’s Mallet Quartet and Sextet, for which Third Coast Percussion was joined by pianists David Friend and Oliver Hagen. Steve Reich, Mallet Quartet (excerpt), performed by Third Coast Percussion, in Grammy Award winning fashion. Aside from a few conversations before they recorded his works, TCP did not work with Reich in preparing their performances. However, they have worked with several other contemporary composers and premiered many works they themselves have commissioned. One such composer with whom they’ve worked extensively is Chicagoan Augusta Read Thomas, a professor of composition at the University of Chicago and director of the recently organized Chicago Center for Contemporary Composition. TCP premiered and recorded her work Selene (Moon Chariot Rituals) with Spektral Quartet on Thomas’ CD from 2016, Of Being a Bird. TCP performs Resounding Earth by Augusta Read Thomas in 2015. Photo by Karli Cadel. TCP recently gave a dazzling performance of Thomas’ Resounding Earth, an astonishing work scored for 300 bells assembled from all over the world. Performing it is quintessential Third Coast Percussion. Each of the four movements employs different types of bells, which were strategically placed around the stage. Peter Martin mallets with fury. Photo courtesy of Third Coast Percussion. Newest TCP member Sean Connors co-wrote Reaction Yield. Photo courtesy of Third Coast Percussion. The performance of Reaction Yield at last October’s outstanding Saturday night concert at the Ear Taxi Festival demonstrated the importance of choreography to their music, as each movement requires different sets of instruments that must all be on stage. It had the feel of a ballet. Third Coast Percussion performs during the 59th Grammy Awards at Microsoft Theater on February 12, 2017, in Los Angeles. Photo by Rich Polk/WireImage. Watch the video Torched and Wrecked, by David Skidmore. Performance by Third Coast Percussion. Video by Vic Firth. Here’s TCP performing Ordering Instincts by Robert Dillon. Video by Vic Firth. One of the biggest challenges facing classical music today is attracting an audience, which, for more traditional classical music, seems to be getting older and smaller. The Ear Taxi Festival showed that, under the right circumstances, contemporary classical music can attract a wider following. Third Coast Percussion uses many tools. Photo by Saverio Truglia. While TCP has achieved considerable success, they are determined not to stand still; they’re always exploring new and different musical styles. “We have a lot of influences, and a lot of curiosity and interests in what’s out there,” explained Skidmore. Third Coast Percussion Play in Stride. Photo Courtesy of Third Coast Percussion. Skidmore has several successful recordings and a Grammy Award with Third Coast Percussion. I asked him, if a major orchestra offered him a choice seat in a percussion section, would he take it?